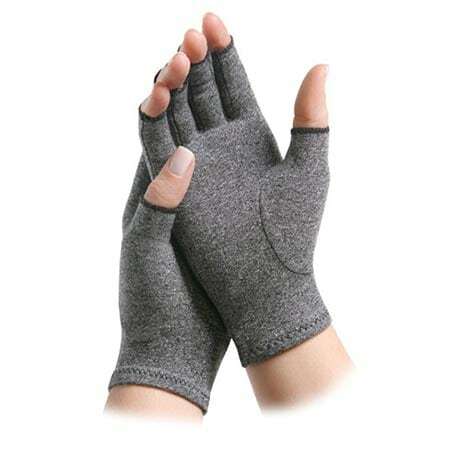 Designed by an orthopedic surgeon, to help increase circulation in your hands and wrists by providing mild compression and warmth. Wear day or night to reduce pain, control swelling and promote healing. 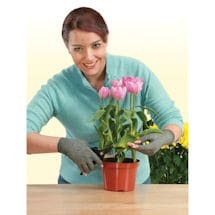 Active Gloves feature an anti-slip design on the fingers and palm for a sure grip. Breathable blend of 92% Cotton/8% Spandex. Machine wash. Measure length across knuckles. MD (3 ⅛"-3½"). Designed by an orthopedic surgeon to help increase circulation in your hands and wrists by providing warmth and mild compression. Wear day or night to reduce pain, control swelling and promote healing. Breathable blend of 92% Cotton, 8% Spandex. Machine wash. MD(3 1/8"-3½"). If borderline, order down.